Genuine leather. 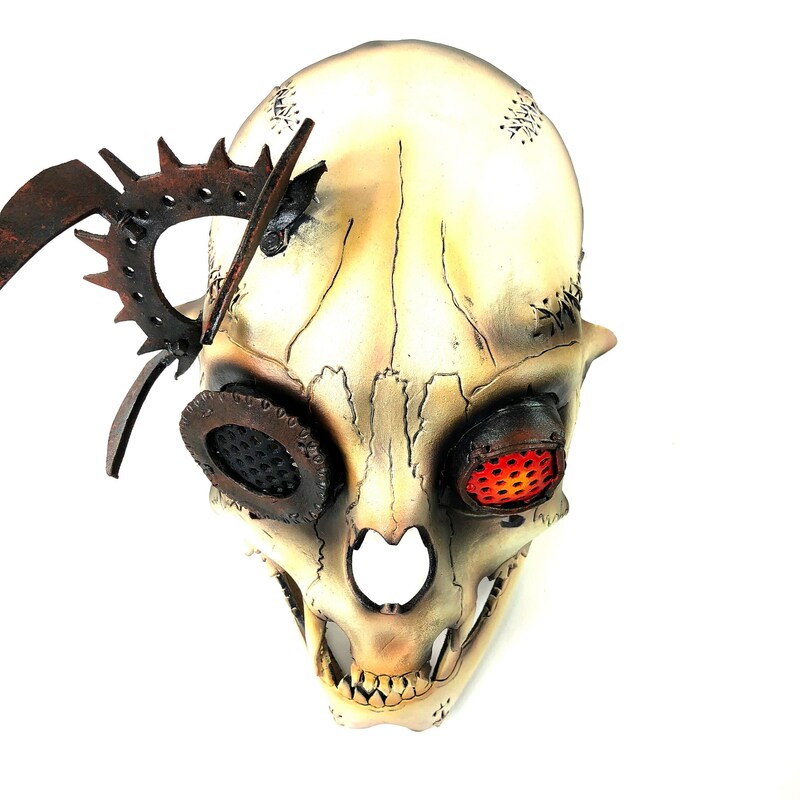 Dark and scary design. 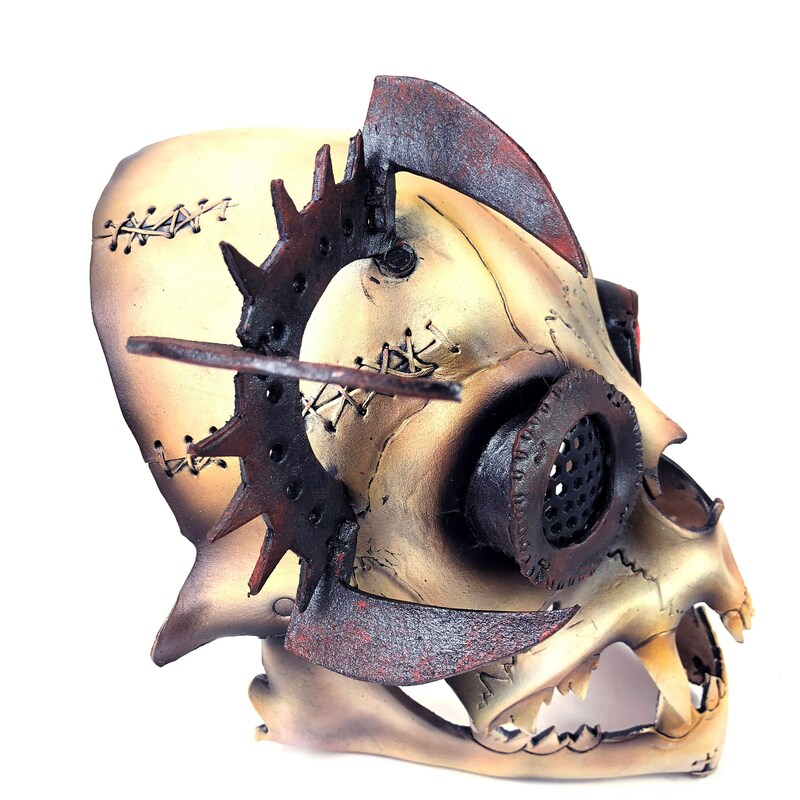 Rusty metal paint job. 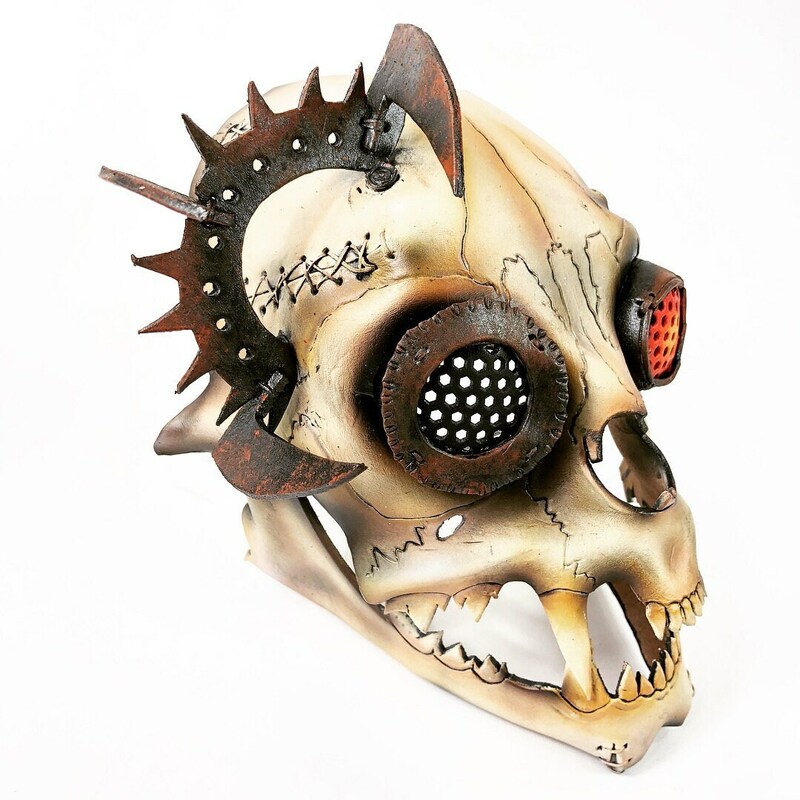 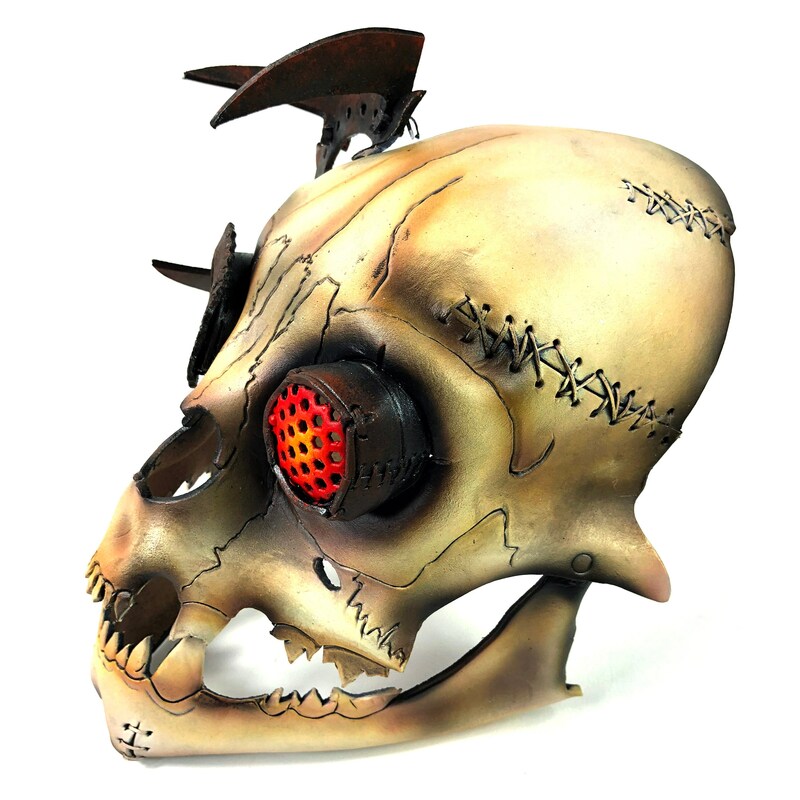 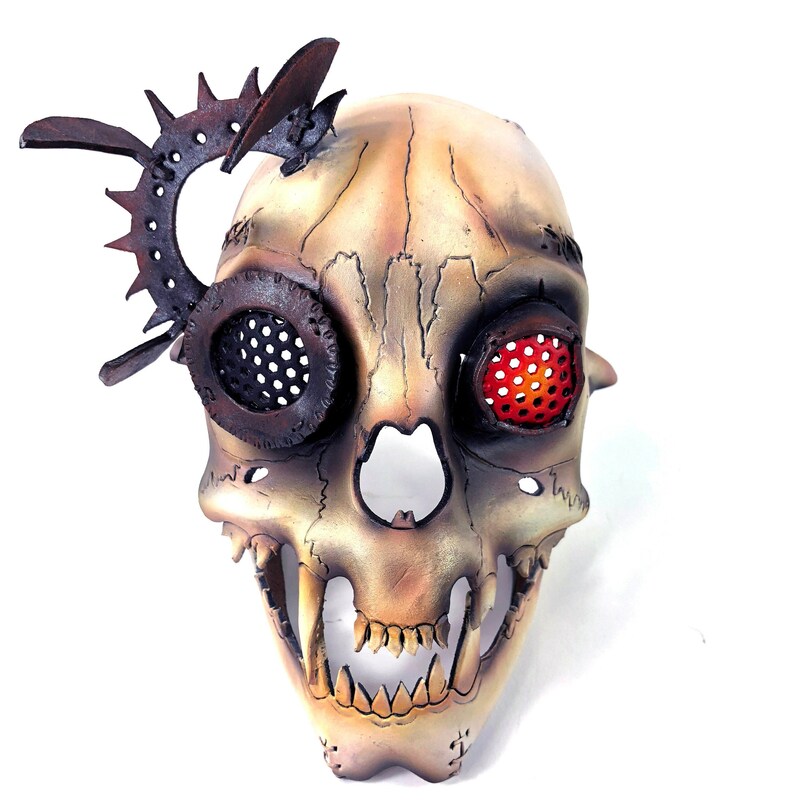 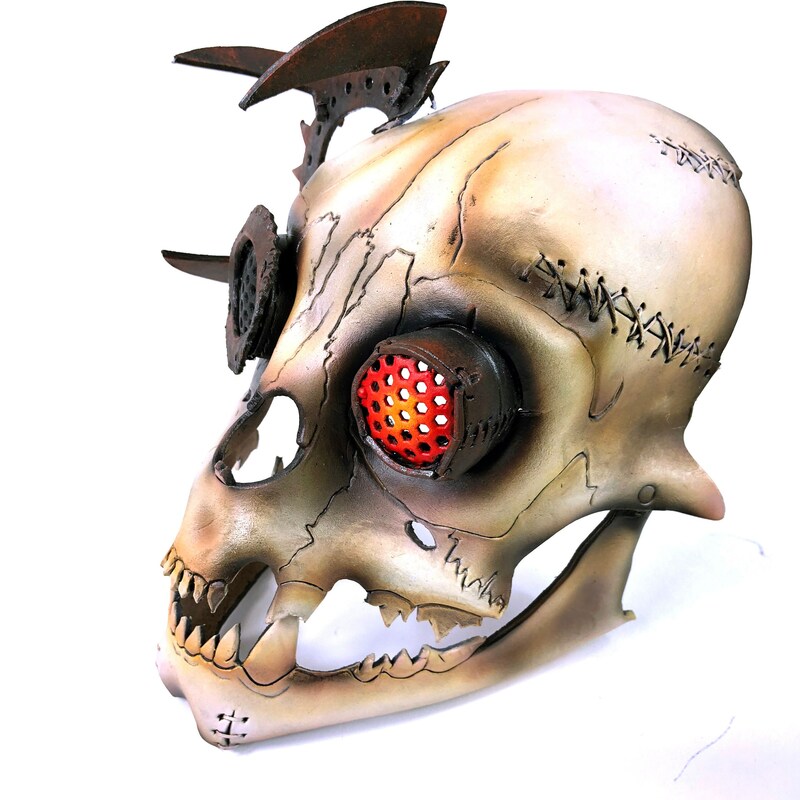 Taking inspiration from the great Tim Burton, this mask features the rusted metal robotic features, and lenses made entirely out of leather.